These chocolate cookie energy bites are exactly what you’ve been looking for! Sweet to satisfy your craving but packed with lots of protein to crave your hunger pains. I will admit… they aren’t a lot to look at, but they are easy to make. So, that makes up for it! 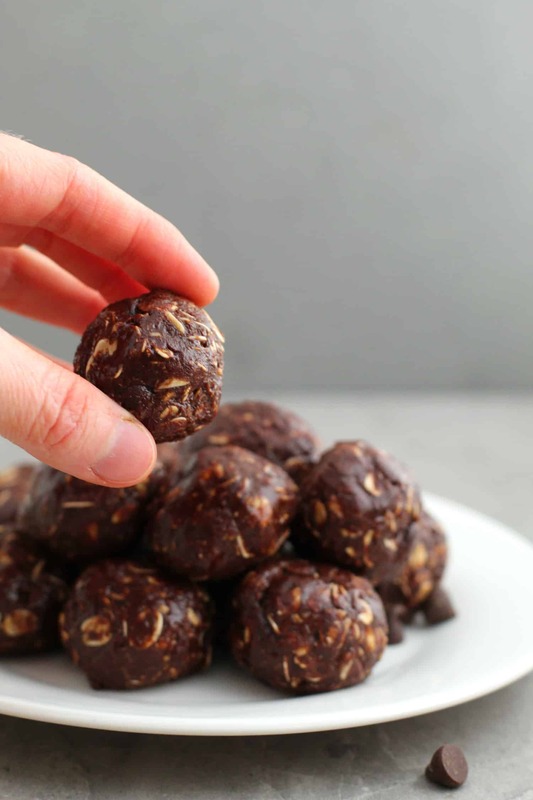 LOL These round balls are perfect to have for after school treats or to snack on right around your daily workout. They could even replace a breakfast if you are having a particularly crazy morning! No baking required either. Bliss! 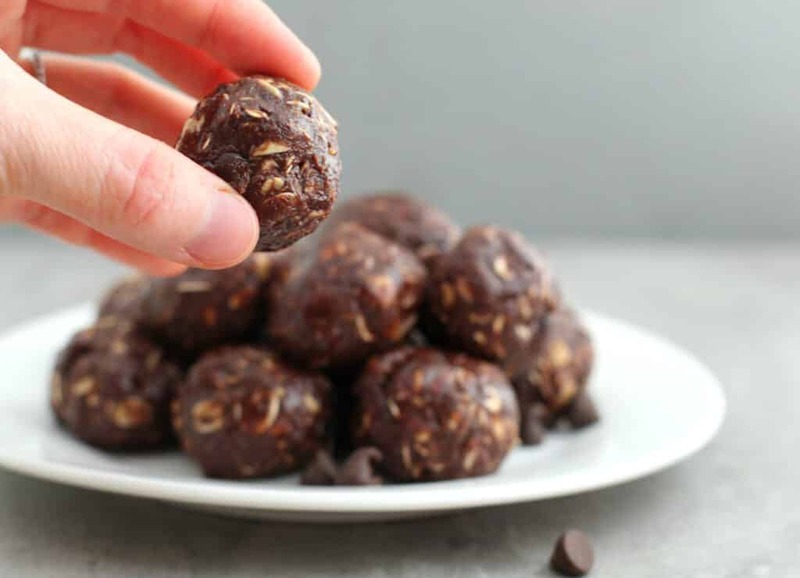 The Chocolate Cookie Energy Bites recipe is easy enough. I will admit that you won’t have most of these ingredients on hand. You will probably need to make a quick run to the store. Or maybe you won’t? I personally don’t have flax seeds and rolled oats easily accessible… but I might be the minority. Who knows?! Place a piece of wax paper on a plate and set aside. 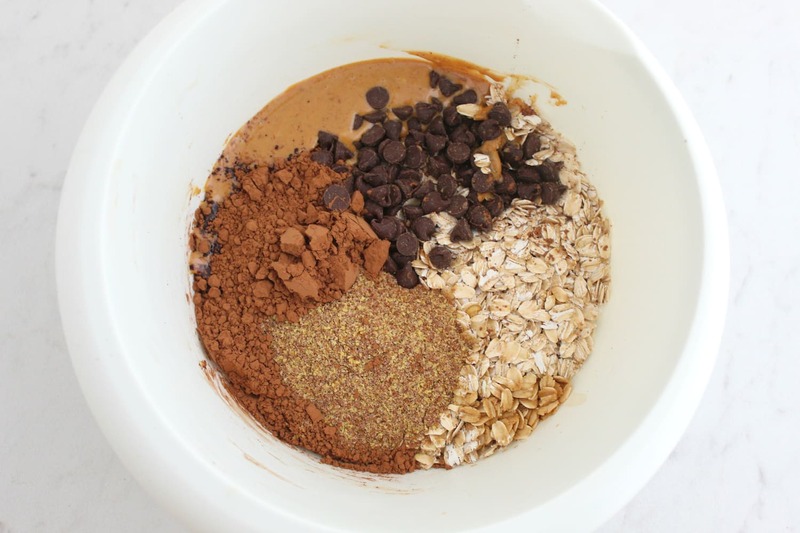 Place all ingredients in a large mixing bowl and stir to combine. 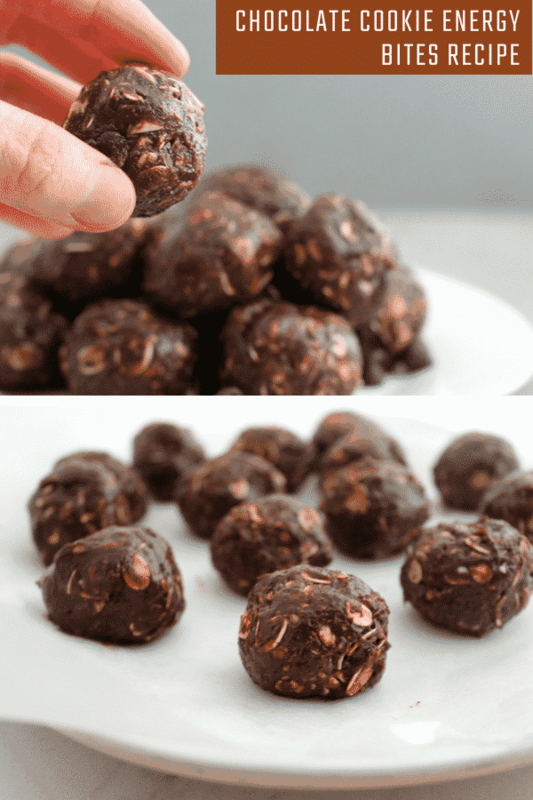 Using a tablespoon, scoop the mixture and roll with clean hands into balls. Place each ball on the prepared plate. Once the mixture is used up, place the plate in the fridge to allow the bites to chill for 20 minutes. 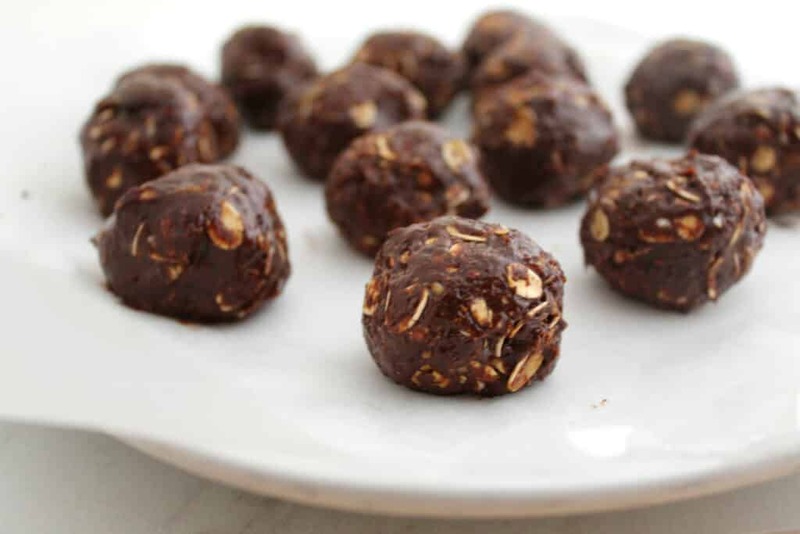 Transfer energy bites to an air-tight container and store in the fridge or freezer until ready to eat. What do you think? Something you could handle? Would love to hear!